A few weeks ago James was gone for a week and a half visiting both sets of grandparents in Minnesota. We missed him terribly (although I may or may not have said, “It’s so easy going places with just two children! !” more then once). He had a great time in MN. 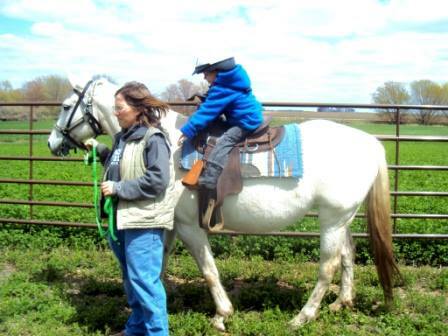 His Aunt Angela took him horse back riding for the first time. I am so sad I missed it. He had a blast! 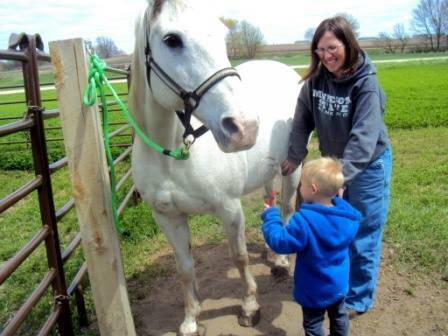 Aunt Angela showing James how to groom the horse. 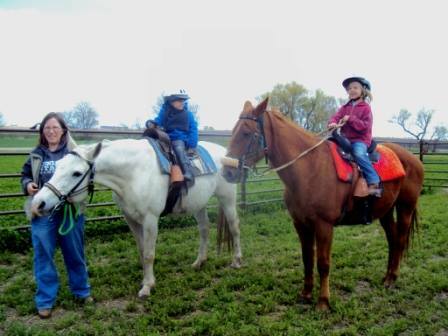 James and his cousin Eve riding horses together. 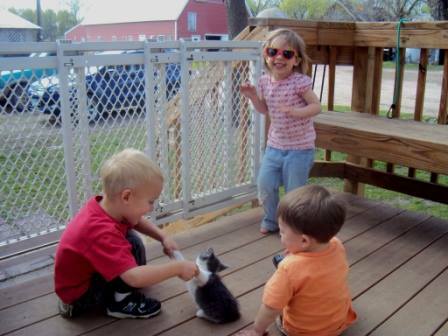 Playing with cousins. James only has cousins on Titus’ side for now. 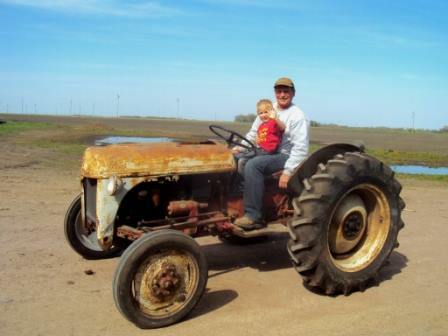 And getting a ride on the tractor with Grandpa.